I have been following No Man’s Sky since its announcement and looking forward to its release more than any other title. Another game of interest to me is Fallout 4. Both these games have incredible graphics and they possess real beauty. Some people may find this statement surprising. Let me explain. Why is No Man’s Sky such a good looking game you may ask? I have heard so many people commenting on the imperfections of the game’s graphics including things such as terrain pop-in, cartoony alien lifeforms, garish landscapes, floating grass and so on. Many critics point to these “flaws” as proof that the game is not up to the high standards they expect. These graphics are not next-gen (next generation console) they say. On the contrary, this is probably the best looking game to grace any video game console. Graphics are made up of many elements. The actual pixels (dots that make up the final image) are only the result of a long process of multiple steps that gradually create the final image. Console game players expect their games to run at a fluid 30 frames per second, possess crisp, high definition graphics with advanced rendering and post processing techniques. This means that all these steps must be performed in 1/30th of a second or once every 33 milliseconds. These games use approximately 10% of their processing time for various tasks such as logic processing, artificial intelligence (AI) that enables the console to control actor behaviour and many other tasks. This is equivalent to 3 milliseconds of processing time. The remaining 90% of the console’s processing resources are used to manipulate and render graphics. This is equivalent to 30 milliseconds of processing time. Based on these assumptions, a typical game will spend 30 milliseconds for graphics processing including; reading data from memory that defines the predetermined world (geometric data structures that define the 3D world), populate it with actors (various 3D models), then apply mathematics to rotate the view according to the location of the camera and then finally render the polygons that produce the final image that we see on the screen. In No Man’s Sky the world is not stored on the hard disk or in memory. It is calculated on-the-fly 30 times per second, or once every 33 milliseconds. There are many formulas that are used to “overlay” one another in order to produce the convincing, ragged, natural environment. The complexity of these formulas creates the land masses, caves, seas, moons, planets, star systems and galaxies with full day-night cycles, gravity, orbital motion and so on. Let’s assume that all these complex formulas take 15 milliseconds to execute. This only leaves 15 milliseconds to produce the graphic fidelity that other games take 30 milliseconds to execute. If it takes any longer, the game’s frame rate will drop below 30 frames per second. In other words, No Man’s Sky only has half the time to process graphics compared to a “typical” game. This results in simpler polygons or less polygons that may result in pop-ins, grainer textures and so on. However, the real beauty of No Man’s Sky is the incredible feat to create a near-infinite world from nothing. The audacity of its ambition is staggering. The player does not know what lies beyond the horizon. It is a true voyage of discovery. Not a constrained theme park ride that has been prepared in pixel perfect fashion as demonstrated by many annual franchises where the player is funnelled into a very linear and constrained experience that will only last a few hours. 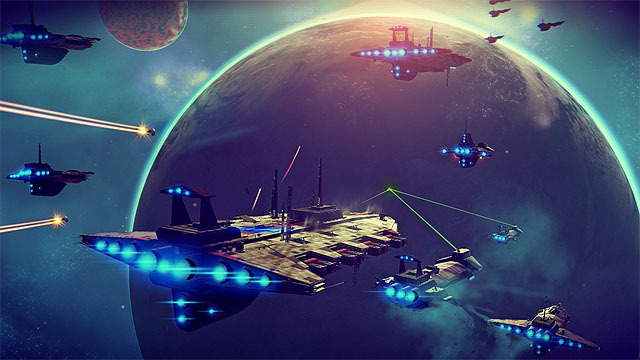 In No Man’s Sky the game does not restrict the player. In such a vast universe, the scope of its world is the true beauty of the game, not its rendered pixels. Inevitably compromises have to be made to reduce the amount of time it takes to calculate the world. Floating grass may (or may not) be a side effect of not applying full physics to every blade of grass. In the grand scheme of things some imperfections must be considered a worthwhile trade-off in a game of such scale and ambition. 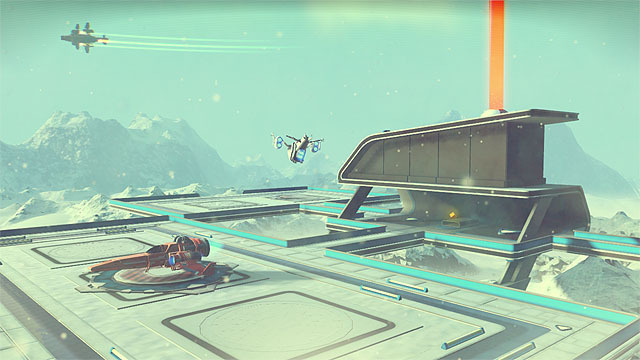 The beauty of No Man’s Sky lies in its world building rather than polygon building. In game development, world construction is a core component of a 3D engine. It is the engine under the “bonnet”, and the engine in No Man’s Sky is far more advanced than most AAA titles. But this is only apparent when we consider what the game recreates as a whole rather than scrutinizing every component and comparing it with games that specialize in rendering pretty pixels in very constrained environments. What about Fallout 4? There is a sizeable minority of players who have criticized the game for having poor graphics. Some professional reviewers also share this point of view. Once again these people fail to see the big picture and just compare pixels. They claim that other triple-A games have higher resolution textures, better animation, less bugs and generally are more aesthetically pleasing. 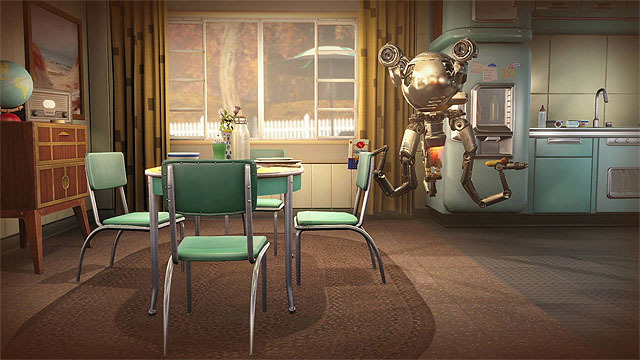 The most common reason for Fallout 4’s failings they claim is the outdated 3D engine used in the game. Actually, the engine in Fallout 4 is very advanced. More so than just about any game out there. 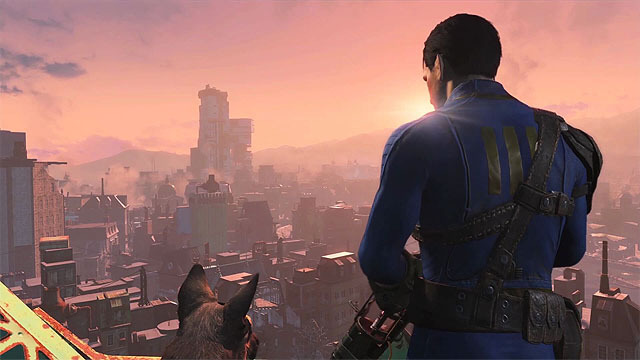 It is impossible to simply use another engine to produce Fallout 4 because there is no other engine that will be able to cope with the huge size of the game’s world and allow in-depth player interaction in such a rich and diverse environment. The game allows the player to literally dismantle parts of the world completely and build them from scratch in the form of settlements. In real-time, at 30 frames per second, in first person or third person. Deciding where every wall will be placed, fittings, furniture, power generators, power switches, cables, stair cases, plantations, workers, shop keepers, automated defences, etc. The list is very extensive. All these tasks are performed in the same environment that allows for first person combat or third person combat or slow motion strategic combat (VATS mode). On top of this add multiple weapons each unique with hundreds of crafting possibilities, body parts, physics, cooking, crafting, numerous missions, objectives and extensive game mechanics for melee combat or ranged fire. All these actions can even be performed in areas entirely constructed by the player, not scripted by the developers. Yet, the game keeps running and the 3D engine keeps delivering an astonishing amount of detail and interaction. That’s the price of player freedom. Modern game console such as Xbox One or Playstation 4 do not have enough memory and processing power required to support this rich world and improve the visual fidelity at the same time. Game development is always about compromises. There are limits to what can be done with the hardware. No Man’s Sky, Fallout 4 or any other game for that matter must be considered as whole. It is not meaningful to scrutinize individual elements of a game in a mix-and-match fashion with other games. If we want the vast scale and rich planet diversity in No Man’s Sky we have to accept the compromises made by the developers. Similarly, in Fallout 4 some compromises had to be made to accommodate the extensive player freedom and interaction in its world. Without those compromises these games would not be possible. To me No Man’s Sky and Fallout 4 are two of the most beautiful games out there. A bit like rough diamonds, they may not have the shiniest exteriors but they are unique and precious nevertheless. Beauty is in the eye of the beholder.